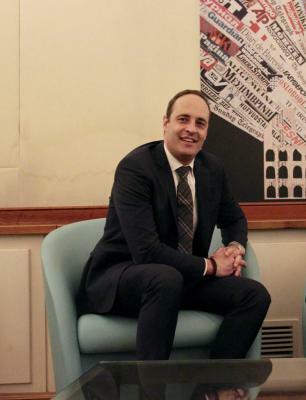 In an interview with the Italian Insider, Dr. Roberto Ciccioli, Head of Tax and Advisory Services at the ConsultingCentre in Rome and Milan, explained how the changes currently being adopted in Italy brought about by new aspects of the tax regulation will bring advantages to personal taxpayers such as entrepreneurs, and self-employed individuals. “The application of flat tax for a wider income band of VAT holders, the closing of current debts and tax litigations with Italian tax authorities, and aspects related to real estate, including the confirmation of previous deductions relating to the refurbishment of buildings, can all be particularly beneficial for individual taxpayers,” said Dr. Ciccioli. In December 2018 under law n. 145, Legge di Bilancio was established to start a new flat tax called “Regime Forfettario” which, from 2019, would be applicable to individual taxpayers with revenues lower than 65,000 euros. The previous “Regime Forfettario” in place had only applied to those with revenues of lower than 30,000 euros. By increasing the threshold from 30,000 euros up to 65,000 euros, many people who previously would have been outside of the “Regime Forfettario” are now able to make substantial savings. Moreover, individuals who were already eligible for the previous “Regime Forfettario,” but who may have considered exiting it if their revenue was about to exceed 30,000 euros, are also able to continue saving money in terms of taxes. As of 2019, if within the parameter of having a maximum income of 65,000 euros, a reduced tax of 15 per cent (or 5 per cent during the first three years of the activity) can be applied, a significant reduction in comparison to the previous taxation (i.e. 35 per cent on average and 43 per cent as maximum amount). According to this, it is possible for an individual taxpayer to reduce his tax burden by at least 20 per cent. The big difference between the “Regime Forfettario” and the ordinary Regime is about the incidence and the importance of the costs sustained by a taxpayer; in “Regime Forfettario,” costs have an incidence already established by the Italian Tax Authorities and linked with the type of activity. For instance, the Italian Tax Authorities consider an incidence of the costs related to a professional consultant equal to 22 per cent of the revenues. On the other hand, in presence of the ordinary Regime, taxes are calculated for each taxpayer as the difference between revenues and deductible costs. For instance, being excluded from the “Regime Forfettario,” a consultant who had a revenue of 55,000 euros in 2018 would have paid taxes ordinarily. Ordinary taxes of approximately 30 per cent would have equated to some 17,000 euros for this taxpayer. On the same principle, those with revenues of 65,000 (same amount of the threshold) would have paid around 22,000 euros in tax. However, with the new “Regime Forfettario” including these higher revenues, the taxpayer with the aforesaid income of 55,000 euros would now make a tax saving of approximately 15,000 euros (when taxed 5 per cent) and a tax saving of around 10,000 (when taxed 15 per cent). The person with an income of 65,000 euros would make a saving of some 18,000 euros when taxed 5 per cent and around 13,000 when taxed 15 per cent. These figures exemplify the great benefits in terms of tax efficiency. Moreover, taxpayers that join “Regime Forfettario” are fully exempted from the application of VAT, Local Taxes and withholding tax but also from the electronic invoice (EI),” explained Dr. Ciccioli. The Legge di Bilancio 2019 foresees, from 2020, a new 20 per cent flat tax for taxpayers with revenues from 65,000 and 100,000; this additional flat tax, in addition to the current “Regime Forfettario” could be a good opportunity for people earning up to 100,000 euros to comply and be aligned with the Italian tax authorities, reducing the money ordinarily spent on taxes. In addition, from 2020 a new flat tax of 20 per cent for taxpayers with revenues between 65,000 and 100,000 euros will be implemented. An individual within this threshold will be able to make around 50 per cent tax saving. Consequently, the new provision of “Regime Forfettario” is extremely favourable for individual Italian taxpayers but also, for instance, for a self-employed expat taxpayer working in Italy who could benefit and make tax efficiency by remaining compliant with the Italian tax laws. Another interesting aspect that benefits individual taxpayers thanks to the government’s introduction of a package of “pace fiscale,” consists of i) the closing of current debts with Italian tax authorities and ii) the third revision of the “rottamazione,” that allows taxpayers to close collection notices with the Collection Agent; both give taxpayers the opportunity to close any debt without paying penalties and interest in an 18-instalment payment over five years. With particular reference to “Rottamazione,” differing from the first and second versions of this discount scheme, where payments were previously required to be made in three instalments and five instalments respectively, this new “rottamazione ter” offer gives the taxpayer a greater opportunity to plan ahead in a maximum term of 5 years. The appeal of this particular form of pay-off of fiscal debts is confirmed by the high number (more than 400,000) of requests that were made in one month to the Collection Agent considering that the deadline for applications is May 31. Furthermore, if a taxpayer is currently in litigation with the Italian Tax Authorities and wishes to close this litigation, the aforesaid package allows the taxpayer to close the three degrees of Italian tax litigation without paying penalties and interests. With reference to the taxes under litigation, the taxpayer is obliged to pay a percentage of the amount of tax depending on the degree of the litigation. For instance in the first degree, the taxpayer would pay 90 per cent if still subject to a court decision in first degree, 40 per cent if the taxpayer won the first degree, 15 per cent if he won the second degree and 5 per cent in the third degree having won the previous two. Also in this case the taxpayer can benefit from an 18-instalment payment over five years. Therefore, if an individual had a debt of 1 million euros with 700,000 euros as taxes, 200,000 euros as penalties and 100,000 euros as interest, not only would the 300,000 euros of penalties and interest be removed, but if the debt was closed in the second degree, having won the first, for instance, the tax would be significantly reduced to 105,000 euros. In terms of real estate, tax deductions have been being made over several years in areas including the refurbishment of buildings, energy efficiency and furnishings, presenting the possibility for individuals to deduct 50 per cent of the amounts paid from the next tax return for the next 10 years. For example, if 50,000 euros was spent on the refurbishment of a building, the taxpayer could deduct 25,000 euros in 10 years. Moreover, the Legge di Bilancio established a new flat tax for commercial buildings applying 21 per cent on the annual rent referring only to public places (e.g. bars and shops). It is clear in several cases (annual rent higher than 30,000 euros) this particular provision is very helpful in order to legally reduce the exposure on the Italian taxes.